If you need an oven clean, you may have looked into the option of doing it yourself with off-the-shelf oven cleaning products. But you need to know what the best oven cleaner is if you’re going to attempt it yourself, so we’ve put together some oven cleaner reviews for 2018 and have listed the pros and the cons, which should help you make a decision about your purchase. This blog post is not intended to give oven cleaning instructions. Always follow product safety and oven manufacturer instructions. 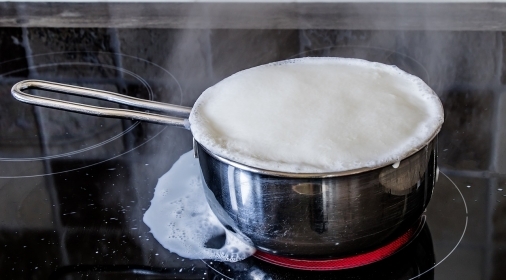 There are a few ways of cleaning the oven with ingredients that can be found in an average person’s kitchen, one of which is vinegar and baking soda! All you need to do here is simply mix together half a cup of baking soda with a few tablespoons of water to form a paste which will lift grime from your oven. After leaving the paste on your oven overnight, take a damp dish cloth and wipe the oven over, then spray some vinegar over the parts where you still see some residue. Finally, give it a final wipe over, adding more vinegar and water until it’s clean. Vinegar and baking soda is not just great for cleaning ovens, but it can also be used for other DIY purposes in the kitchen. Take a look at our blog What natural cleaning products are best and how to use them? 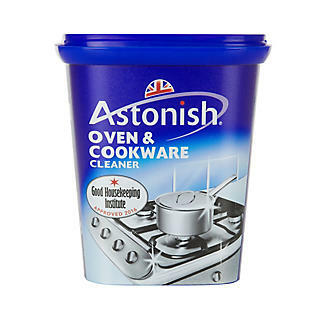 Astonish is a pot of cleaning paste that removes grease and difficult stains from a large variety of surfaces in the home, including cleaning your oven. You simply need to apply a small quantity of this cleaning product to the surface and rub with a damp sponge or cloth, and then rise with clean water and a clean cloth. 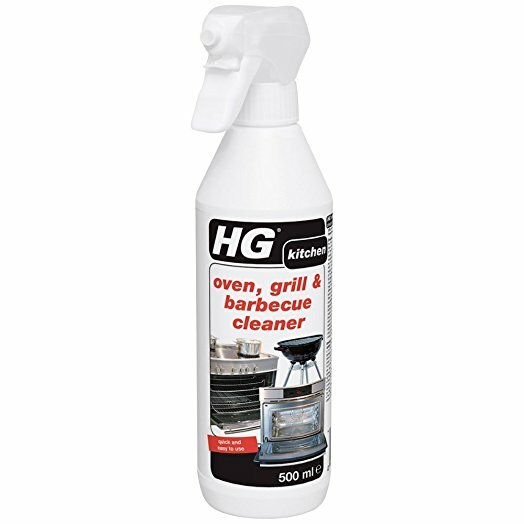 At number 5, we have chosen HG oven, grill & barbecue cleaner, which works slightly differently than most other oven cleaning products. For the best results, the surface needs to be warm and then the product only needs to be on the surface for 3 to 5 minutes before being wiped off with a damp sponge. 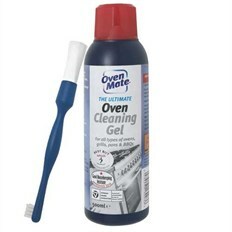 At number 4, Oven Mate is a gel that can be painted onto oven interiors. Gloves and a brush are included in this oven cleaning product and it can be left for 3 minutes to 3 hours, depending on the level of grime. 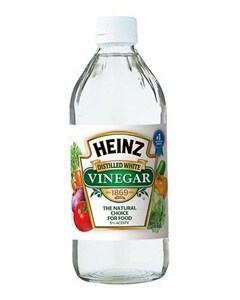 Similarly, to some of the best oven cleaners, there is no scrubbing required, simply just leave it on to work its magic! Contains such dangerous chemicals so caution is required. 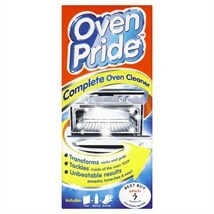 Oven Pride has introduced a fantastic unique bag system and all-in-one solution which has scored it third place on our best oven cleaner reviews blog! Wearing gloves throughout, you fill the bag with cleaning solution and soak grill racks overnight. At the same time, you coat the oven interior with liquid and leave. Afterwards, everything needs to be rinsed with warm, soapy water, with bags and gloves disposed of. 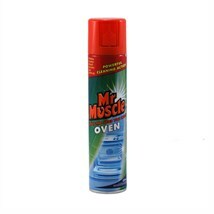 Omits fumes and just as hazardous as many other oven cleaning products. Requires a long time to work, meaning that you won’t be able to use your oven for a long period of time. The bag needs to be disposed of carefully otherwise the plastic could have a negative impact on the environment. 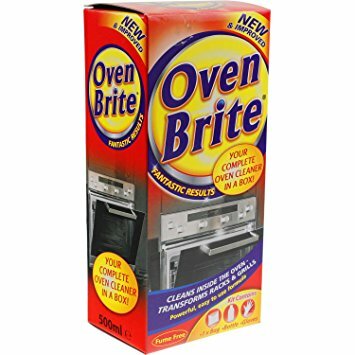 At number 2, we also think the Oven Brite cleaner is one of the best oven cleaners as it is extremely effective for a good price. 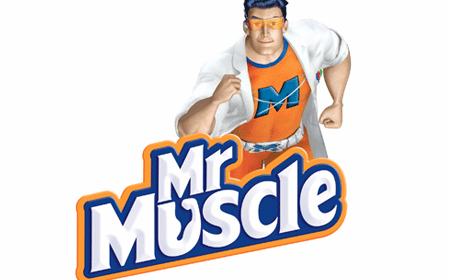 It even comes with a bag and bottle for disposal and gloves, and at 500ml (200ml more than Muscle) you’ll have plenty of product, so it really is great value for money! 500ml is plenty of solution, therefore it’s great value! Although it’s fume free, there is quite a long list of safety warnings so you need to ensure you read these before using the oven cleaner. If used incorrectly, it is highly dangerous which can cause skin and eye burns, and can be fatal if swallowed. 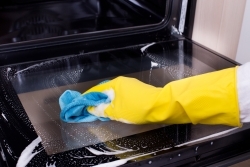 Click here to find out what toxic chemicals are in your oven cleaning products. We hope these oven cleaner reviews have helped you make a decision on how you would like to clean your own! However, oven cleaning has been voted the most hated household chore, so if you would rather hire a professional oven cleaning company than attempt this laborious task yourself, then why not call Ovenclean? 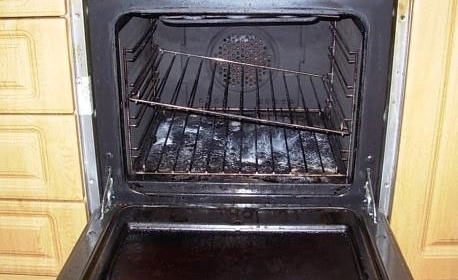 Click here to see some Ovenclean before and after photos – our specialists can make your oven sparkle in just a few hours. We are the UK’s original oven cleaning service with over 20 years’ experience. We use an innovative, non-added caustic system which is exclusive to Ovenclean, achieving spectacular results with no harmful fumes and no mess! If you would like to leave the hard work to us this time, call us on 0800 840 7127 or complete our online form for your free quote.